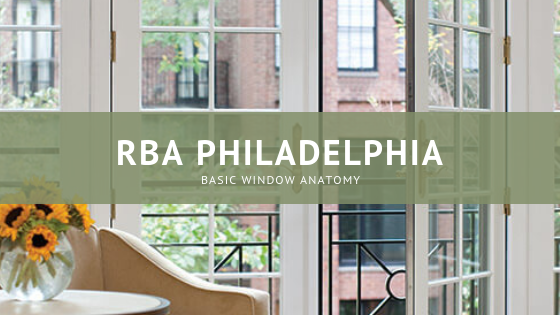 It’s important that homeowners understand the basic terms that people in the window industry such as manufacturers, window installers and contractors use when selling you on new windows for your home. Knowing the right names of parts of your home windows can help to avoid confusion when considering replacing your windows with Renewal by Andersen. The frame holds the glass sheets in place and supports the rest of the unit. The ones that secure the movable panels are called sashes. This is the locking device that is attached where the two rails meet on a double-hung window, on the bottom rail of an awning window or on the stile of a casement window. The latch not only locks the window, but it also helps seal the window closed, allowing the weather stripping to effectively block out cold in winter and keep in cool air conditioned air during summer or heated air in for the winter. A pane is a sheet of glass. Standard windows these days have two panes to create a thicker thermal barrier. Renewal by Andersen offers specialty glass options to help insulate your home throughout the year and they block a greater amount of solar heat and ultraviolet (UV) light while allowing abundant sunlight to pass through the unit. These are the horizontal pieces that connect the stiles or vertical pieces of the window. They help hold the glass in place. You should also note that there are several styles of windows that you can choose to upgrade the look and feel of specific rooms in your house. Renewal by Andersen of Philadelphia, PA offers customers 7 different styles of windows just to give you some perspective. There are awning windows, bay & bow windows, casement windows, double-hung windows, gliding or sliding windows, picture windows and specialty windows. Give us a call to learn more about the different styles we have to offer, or schedule your free in-home replacement window consultation with Renewal by Andersen of Philadelphia, PA today!